This California born, hard working mother of two young kids was raised in the small community of Knappa, OR. Once she obtained her high school diploma, she immediately enrolled at Tongue Point Job Corp and completed her dental assistant training in 2010. 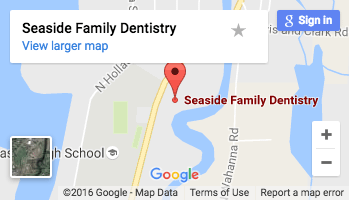 While working you will find her assisting dentist in Seaside, Oregon Dr. Santos with treatment, sterilizing instruments, ordering supplies, and helping people find their smile again. Away from work, she loves spending time with her family and just enjoying the outdoors. Her dream is to travel the world. Born in Japan, this non-sushi eating mother of one lived in Hawaii, Nevada, and California before moving to Oregon in 1979. After graduating from Seaside High School, Anita continued her studies at the Dental Assisting School in Fresno, CA. In the office you will find Anita sterilizing instruments, ordering supplies, helping Dr. Santos with treatment, and making patients feel comfortable. She has worked with Dr. Santos since he began in 2003. 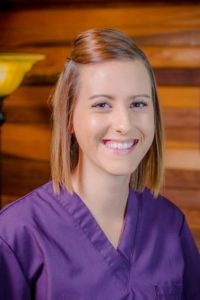 The love for her family has naturally flowed into dentistry, as she genuinely enjoys working with people and helping others. Outside of the office you will find Anita spending time with her family, gardening, camping, training her dog Max, or working on some household project. She has a surprising passion for muscle cars and she loves to chop wood. A native Oregonian, this dog-loving, outdoor-running, hot-spring-mineral-water-soaking mother of one was born in our capital city of Salem. After graduating from Seaside High School, she attended Portland State University and Portland Community College where she earned her Dental Assisting License and Dental Hygiene Degree. Lisa has since lived and worked in Seaside, Portland, and California. She has been in the dental field for almost 30 years. In 2008 she went to a small village in Honduras with Medical Teams International and helped provide dental treatment to hundreds of children. In her spare time, you will find Lisa camping, hiking, training for various running competitions, or at a local microbrew. She has hiked in the South American region of Patagonia and hopes to explore more of South America again. Having been a military brat of the Air Force and moving 19 times in 20 years, this high school beauty pageant contestant graduated from Blythe, CA. Before graduating, she spent time living in Michigan, Montana, California, Washington, New York, Oregon, and the Philippines. After attending community college in Blythe she began working for an orthodontist, thus starting her elaborate dental career. Shortly after she moved to the cooler (that’s right cooler!) Las Vegas, NV where she spent 27 years working in general dentistry, cosmetic dentistry, and oral surgery. In 1996 she helped start a dental assisting program in Las Vegas and was an integral part in founding a dental Co-Op. Her extensive dental background has given her a plethora of knowledge that allows her to assist patients in every facet of dentistry. She moved to Oregon in 2013 and began working with Dr. Santos in May 2013. At the office you will find Sharon greeting patients upon arrival, answering phone calls, and coordinating patient care. In her free time you may find her traveling, biking, fishing, spending time with her dog Teddi, or enjoying the company of friends. Since moving to Oregon, Sharon has become an ordained minister. Born in Astoria, OR, Peggy has not strayed far from her home having lived in Seaside or Astoria all of her life. After graduating from Astoria High School, she continued her studies at Clatsop Community College, Lane Community College, and University of Oregon where she received her degree in business. In the office you will find Peggy helping with front office duties and patient financial accounts. In her spare time she enjoys being involved with church activities, attending sporting events, watching movies, and working on commercial remodel projects. When she finds a moment to herself, Peggy enjoys reading a book or swimming. Some time soon, she hopes to travel to her ancestral country of Finland and research her family tree.